As a result of our continued growth, we are seeking candidates for a position of In-House Counsel, Commercial Real Estate located in our Head Office in Guelph, ON. Job Description We are searching for an accomplished Commercial Lawyer with experience in Real Estate to act as an associate and provide general legal and other advice and guidance on a broad range of topics related to all facets of the company’s business, with a specific emphasis on the real estate aspects of the business (buying, selling, financing and managing commercial real estate, including multi-unit residential buildings). This position also ensures maximum protection for Skyline and its group of companies and the efficient delivery of legal services as they pertain to Skyline's core real estate business while supporting our shared goal of creating meaningful value and an exceptional experience for our customers, our people and our communities. What we look for: A broad foundation of legal concepts, experience and applications relevant to the practice of commercial real estate law. Knowledge of all aspects of real estate transactions including land division in Ontario, land registration systems, surveys, title insurance, title and off title searching, ownership, agreements of purchase and sale, financing and related documents, leasing, applicable statutes, purchasing, selling,closing the transaction, etc. Familiarity with and experience in the various types of business structures such as the corporate and administrative procedures involved in preparing and filing articles of incorporation, amendments, limited partnerships etc. Must be familiar with legislation governing the formation and operation of a corporation. Familiarity with leasing documents, including agreements to lease, leases, extensions, renewals, and lease negotiation practices. Knowledge of Teraview required and Conveyancer and FastCompany an asset. Member in good standing with the Law Society of Upper Canada, and able to practice law in Ontario. Minimum two (2) years of demonstrated commercial and multi-residential real estate legal experience required. Experience with commercial leasing is considered an asset. Why you want to work here: Analytical skills and ability to interpret law is your super power. Working for a growing company that supports environmental stewardship and social responsibilities is a must for you. You're a master multi-tasker and get a charge out of remaining extremely detail-oriented. No task is too big or too small for you; you demonstrate a can-do attitude and appreciate the many opportunities we have to learn each day (there's always something new at Skyline!). Operating under pressure and meeting a tight deadline is your favourite way to work. You're funny (or at least think you are) and that helps you to withstand stress while ensuring accuracy and thoroughness. You get a thrill from staying organized and time management is your “thing”. Being part of a great team has been your dream. You want to work for a company that supports work-life balance and truly cares that you are fulfilled in your life. The Skyline Group of Companies is a fully integrated investment management organization: grounded in real estate, powered by people, and growing for the future. Every aspect of Skyline is managed with the utmost care and attention to detail, from consulting with investors to fostering a sense of community at each and every one of its properties. We offer our employees competitive pay, benefits, paid volunteer day, on-going training, growth potential and so much more. Our workplace culture empowers staff at all levels to become involved in supporting and building vibrant communities. Come be a part of Skyline – Building Careers and Communities! We have the privilege of working exclusively with a national law firm that is recognized as being one of Canada's most respected business law firms in their search for a Real Estate Law Clerk to join their Guelph office. Working in a tight-knit collaborative team environment, this role requires an individual who possesses excellent work ethic, outstanding communication skills and a "roll-up your sleeves and help-out" personality. To be successful the individual must be able to follow instructions, be resourceful, responsive and intelligent and also have a fun personality! What you will be responsible for: Completing residential transactions for purchase, sale, multi-residential, condo and builder unit sales from beginning to end; Communicating professionally with clients, lawyers and other members of the real estate team; Reading and interpreting title and off title searches; Drafting and coordinating all necessary closing documents including status and closing reports; Managing a high-volume workload; Problem solving with minimal supervision; Meeting strict timelines; and Other duties that are assigned. You will bring the following experience and qualifications: Law Clerk Certificate/Diploma obtained from a reputable secondary education institution; A minimum of 5 years of relevant experience gained in a legal environment; A solid understanding of current legal terminology and technology; Strong organizational, multi-taking and time management skills; Fluency in Microsoft Office, Lotus Notes, Teraview, Conveyancer and Elite. What you can expect from the firm: A fostering environment of sharing, collaboration with emphasis on the importance of belonging to a team and contributing to the firm through teamwork. They provide an unyielding dedication to their lawyers, staff and the communities in which they practice and strive to offer each firm member a great challenge, competitive compensation and benefits, employee perks and a positive, collegial work environment. 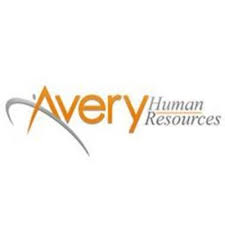 Interested candidates can send a resume and cover letter to Amanda Sullivan asullivan@averyhr.com to be received in the strictest of confidence. We thank everyone for their interest but only those with relevant experience and qualifications will be contacted. Our client is an equal opportunity employer and encourage applications from all qualified candidates including women, aboriginal peoples, visible minorities and people with disabilities. They will provide accommodations on request throughout the recruitment process for applicants with disabilities. Please indicate in your application if you require accommodation. The successful candidate will have a minimum of 2 years experience in Civil Litigation in both Small Claims Court and Superior Court. The ideal incumbent will have excellent organizational, communication, and interpersonal skills, and have the ability to draft statements of claim. In addition, the candidate must be able to handle a high volume of work, have the ability to work independently as well as on a team. Experience using PC Law, MS Office Suite and familiarity with Canada Student Loan work and Classmate would be considered an asset. Please send all cover letters and resumes to careers@smithvaleriote.com by January 18, 2018.